At its essence, the traditional law firm model is this: a client comes in with a legal problem, and an attorney charges by the hour to resolve it. Even though the billable hour concept is well known, what isn’t as clear is how this model got started. When did hourly billing begin? Have attorneys always had billing requirements? To answer these questions, here is the origin story of the billable hour. In the country’s early history, attorneys sold legal services at fixed rates set by state law. While the rules allowed attorneys to collect annual retainers and bonuses, laws regulated the price of legal fees and who paid them. In 1908, the American Bar Association (“ABA”) approved the contingency fee as a method of payment. A contingency fee is a sum of money that an attorney receives only if a case is won. When the ABA approved the contingency fee, this ushered in other forms of payment for legal services, too, including bar-approved flat fees minimums. In 1938, states adopted more complex civil procedure rules and business regulations. These new rules expanded the amount of legal work necessary to resolve a case, and they made it difficult for lawyers to set reasonable flat fees. At the same time, clients started to become weary of flat fees, because attorneys failed to accurately communicate the relationship between the work they had done and the fee they’d charged. Against this backdrop, the billable hour was born. Hourly billing helped clients gain a better understanding of the services they were buying, and it monetized the enormous amount of time that attorneys were spending on cases. By the 1960s, the billable hour became the de-facto standard of the legal profession, and firms instituted annual billing requirements to ensure profitability. 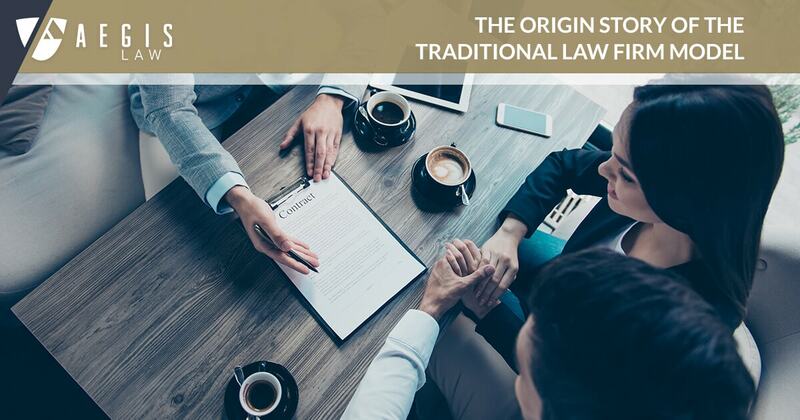 Just as the traditional law firm model has evolved in the past, the legal industry is in the midst of a transformation today, too. Clients can no longer budget for the high-priced cost of the billable hour, and traditional firms continue to lose market share, as more entrepreneurial firms find ways to automate tasks, make process improvements, and decrease time demands on associates and money demands on clients. We are proud to say that here at AEGIS Law, we are one of these entrepreneurial minded firms. 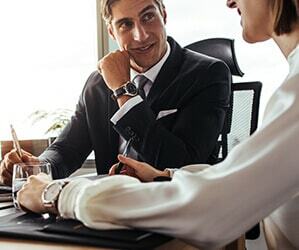 Our unique business model and dedication to improvement ensure that we hire industry-leading attorneys dedicated to providing our clients with exceptional service. And to do so, at lower rates than traditional firms.